Last week I was talking to a new Weirdly customer (who also awesomely happens to be one of the best burger joints in town). 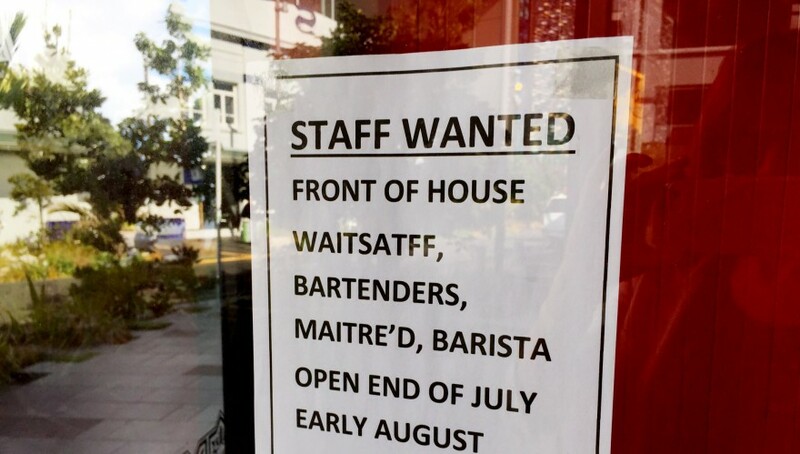 After waxing lyrical on this, their latest culinary homage to our mates over in Greece, we got onto the topic of retail and hospo recruitment trends – more specifically, over-the-counter resume drops. Not just for the store, restaurant or bar manager but for the candidate as well. Your managers are the busiest people in your stores. They don’t have time to fully review each resume that gets dropped in or set up a filing system to deal with the paper. And let’s face it; retail space is expensive. 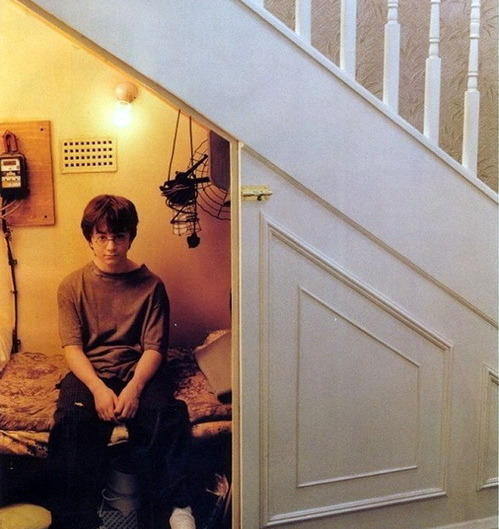 This means your manager’s “office” is often a little less fancy than Harry Potter’s bedroom. The perfect environment for loose pieces of paper to get hopelessly lost! Some of the retailers we talk to get up to four of these “walk ins” every day. It’s deeply unlikely you’ll remember much about the person you met at 10am Tuesday, by the time you get to reviewing resumes on Sunday. That means you’re relying almost entirely on the (very sparse) info you can glean the CV gives you. For a customer-facing role, this gives you very little of the actual stuff you need to know. Things like, do they represent your brand well? do they project friendliness and approachability? or in the case of our Burger friends, are they deeply, madly obsessed with the quest for the perfect meat-and-cheese combo? With walk in resume-drops, there’s no possible way the candidate experience can be consistent. There’s no designated application time, so candidates just come in when they’ve managed to pluck up enough courage or their parents have made them. Maybe it’s busy and they get told, “just leave your resume and I’ll call you” or maybe its not busy but it’s the first break you’ve had all day and you just don’t have it in you to think about candidate experience. Sure, sometimes it’ll be a good time and everything will be rosy but you can’t guarantee that your candidates are getting an awesome experience every single time. Not important? It seems that way, until you consider the fact that these candidates are, in most cases, also customers. With a positive experience, these guys are statistically more likely to actually INCREASE how much they buy in your stores, even if they don’t end up getting the job. After a negative experience, well, you can imagine the rest. Be good to candidates. They walk away happy, you feel great, they tell their friends, they all come to your place and spend money, your business does better. It’s a beautiful thing. The last issue is a biggie: Candidates hate it as much as you do. They know their resumes don’t tell you much about their real personality. They also know you’re busy and you’re getting a million other resumes that look basically the same as their own one. They’re looking for an opportunity to differentiate themselves and are painfully conscious of the fact that dropping a couple of sheets of paper into the hands of a busy store manager doesn’t guarantee them memorability. Tools like Weirdly offer the perfect answer to these challenges. Asking your next walk-in to keep the paper and instead, do a 5min quiz on their own mobile phone is a much smoother, more enjoyable experience for them AND you. They can show off their own personality and style, they can attach a photo if they like, a digital version of their resume or a link to a social profile. You provide them an awesome experience every time and collect all the data in one easy dashboard where the best applicants are automatically ranked at the top of the list. You can even funnel applicants who come through job boards and social media to the same place. Meaning you’re eliminating the pile of resumes from your email inbox, as well as the ones on your desk. Its fun, easy to use, reduces your workload and the research shows that improving your candidate experience this way is going to help increase your sales.